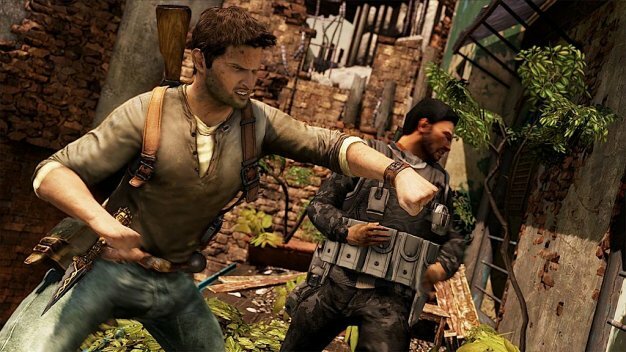 The existence of Uncharted 3 will be formalized in less than a month, rumor has it; Kotaku’s heard from a source that a trailer for the title can be expected at Spike’s Video Game Awards ceremony next month. Sony’s already revealed that it’s holding a media gathering to show off a new PlayStation 3 exclusive the day after the awards, so the timing certainly fits. If true, the reveal would follow in its predecessor’s footprints: Uncharted 2: Among Thieves‘ debut trailer was shown at the 2008’s VGAs, a year after the original game hit shelves. The VGAs are held on December 11th. An announcement for a new multiplayer-focused Mass Effect game, perhaps Mass Effect 3, is expected as well.